Day 5 of the Zoya Irresistible Collection is here and brings Amy along with it! 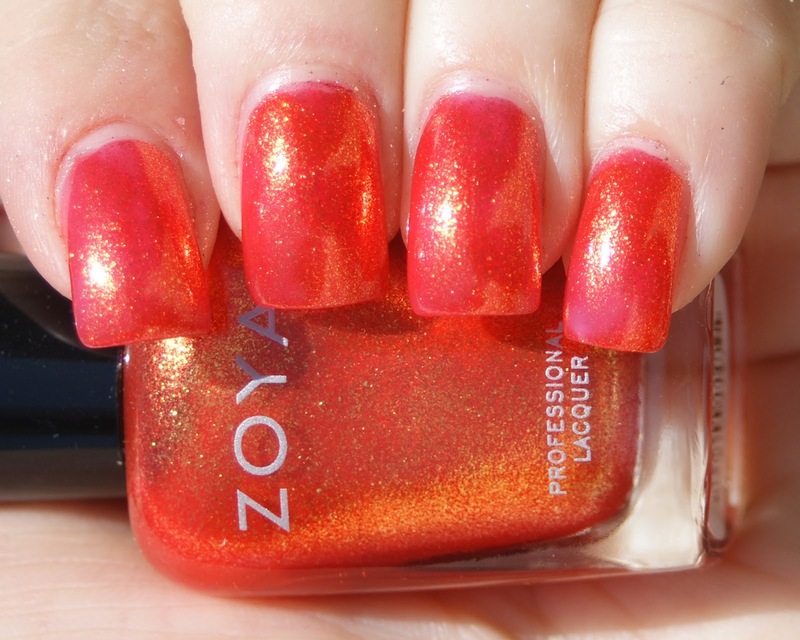 Amy is a juicy coral with orange shimmer. I LOVE this. I'm generally not an orange girl, but I just want to take a bite out of this. The above is with two coats. An alternate look at Amy! Are you on board with this citrusy shade? I'm not really an orange girl either but this color is gorgeous! Zoyas have a great formula, but I'm not loving this color. That has a beautiful shimmer in it. Not my shade, but pretty nonetheless. I could not wear that color well, but it is so pretty! So stunning!! It almost looks layered! I usually don't wear orange but this polish is stunning! Orange is not my color but this is a really nice shade - it looks delicious, weird as it sounds, like a cocktail or something. Perfect for summer! I'm not normally a really big orange fan either, but that is amazing!~ I'll have to get that one.